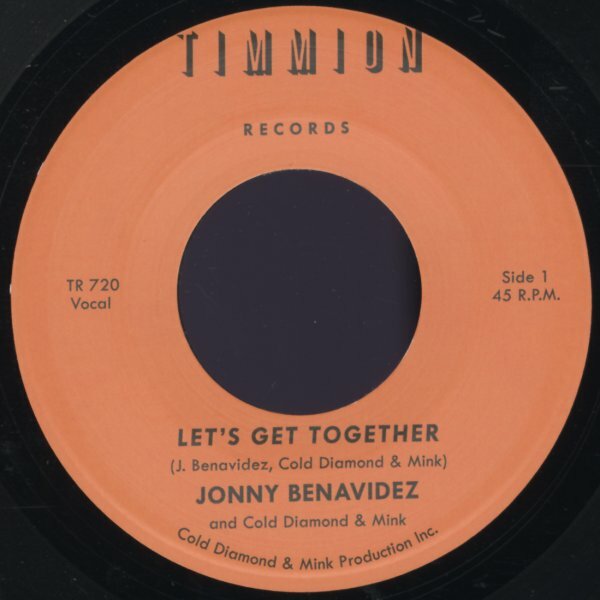 Sweet soul from Jonny Benavidez – a singer who's got a voice that takes us back to the late 60s era of work by Ralfi Pagan and Joe Bataan – and who comes across here in an equally heartbreaking mode! Cold Diamond & Mink provide some nicely stepping grooves in the background, warmed by a bit of horns – and the group play solo without any vocals on the flipside! © 1996-2019, Dusty Groove, Inc.